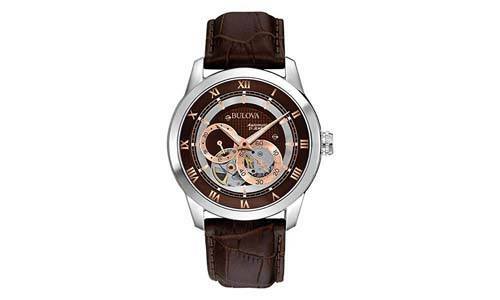 Choosing an automatic wristwatch can be overwhelming as there are so many options and styles. 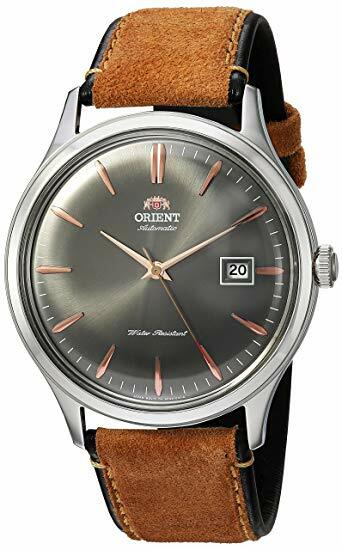 There is a whole culture of automatic wristwatch wearing with norms and standards of what watches are suitable to wear for different settings and events. This guide will help you understand what your needs are in an automatic watch and how to best choose a watch for your lifestyle. 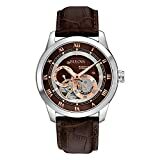 Additoinally, 10 reviewed options are presented of high quality automatic watches under $500 for your consideration. 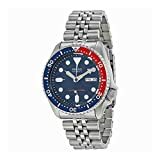 This high quality analog watch has hand-winding capability, luminescence for visibility in low light settings, hand-winding capability, date and time display, and 120-click unidirectional diving bezel for optimal precision. The Ray II is perfect for wearing at the office, a dinner date, and other semi-formal events. This timepiece is a perfect addition to any wristwatch collection. 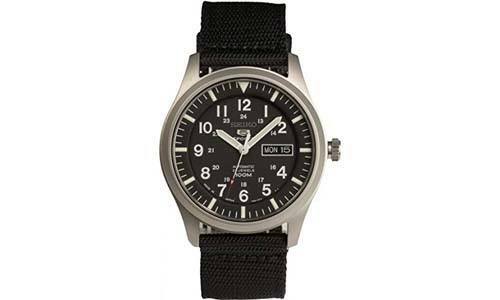 This beautifully made automatic analog watch features Hardlex crystal, a stainless-steel case of brushed steel on top and polished steel on the sides, a black rubber wrist strap for comfortable wear, is automatically powered timekeeping through movement of your arm, is a true diving watch that is suitable for scuba diving of up to 660 feet, and has date and day functions. While this watch is beautifully designed it is also wonderfully functional and durable. 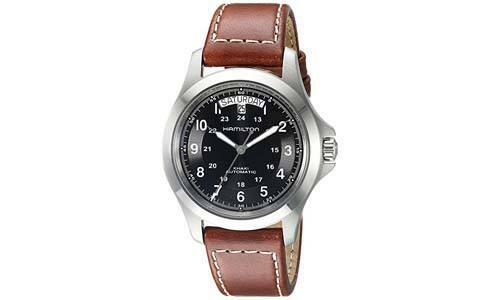 This analog watch with a lovely soft leather wrist band is a comfortable, accurate, and reliable timepiece. The stainless steel casing features a day and date display and a 24-hour inner dial. 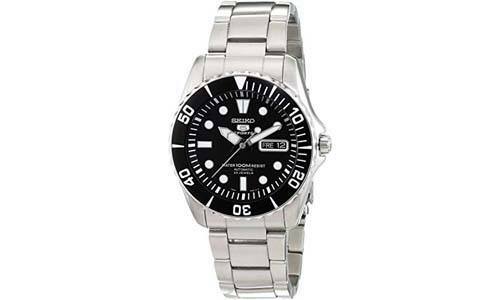 This elegant watch is water resistant up to 165 feet and short periods of recreational swimming. The leather wrist strap is comfortable to wear and features a traditional buckle closure. A truly versatile watch, this timepiece can be used in more formal settings or at work. This unique and sophisticated analog watch has a high quality case of polished steel that is really bright and even. The watch has a domed mineral crystal that is very thick and has a signed buckle but no signed crown. The Orient Bambino Version IV is water resistant to an extent but it not suitable for swimming or longer periods of submersion. This lovely watch is available in blue with stainless-steel accents, gray with rose gold accents, or green with gold accents. This gorgeous automatic analog watch would serve as a wonderful accent timepiece for the sophisticated connoisseur of fine watches. 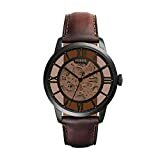 The watch features beautiful craftsmanship and quality with roman numerals as the time marks on the watch, a brown patterned leather wrist strap, and brown and rose gold time dial with a slightly domed mineral crystal. This unique and stunning watch can be worn confidently to any occassion from work to semi-formal to formal events. This whimsical automatic analog five watch features a two-tone unidirectional bezel of red and blue that features the day/date window and luminous hands. The case is stainless steel with Hardlex crystal dial window. The wrist band features five-ink stainless steel with fold-over clasp with safety closure. 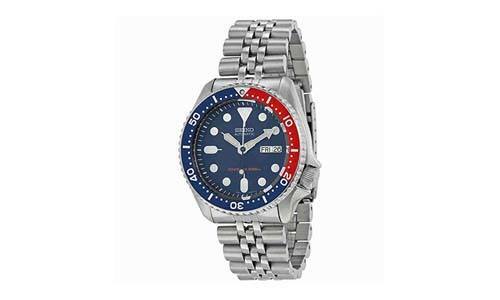 This fun watch is water resistant up to 660ft and can be used for swimming and surface water sports but is not recommended for scuba diving. The design of this watch is fun and interesting and could be worn for a night out on the town or for a day in the office. 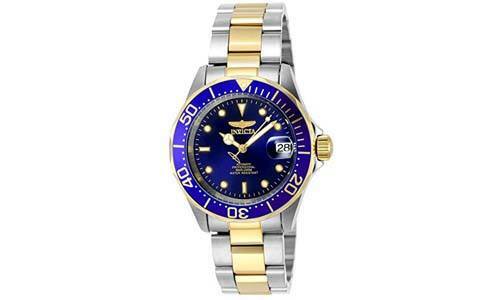 This two-tone stainless steel automatic analog watch features a wonderful deep blue color with gold accents that makes this a stunning accent piece. The wristband is a lovely stainless steel link with gold accents. The hands are luminous for optimal visibility in low lighting, features a date display at the 3 o’clock mark, and the watch is water-resistant up to 660 feet. This lovely and bold classically designed watch is wonderfully versatile for many occasions. This wonderfully unique and stylish watch features a round stainless steel case with roman numerals as time indicators with a skeleton dial and hands and time marks in a beautiful black color. The wrist strap is a lovely deep red/brown leather with a distressed style. This interesting and beautiful watch is water resistant up to 165 feet and is suitable for short periods of swimming and water submersion but should not be used for diving. This striking watch will be sure to attrack positive attention and compliments. 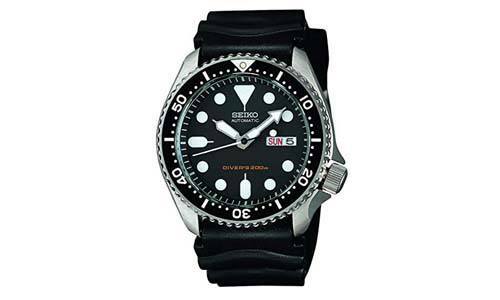 This Seiko automatic sports watch features a lovely stainless steel case with a black nylon strap. The watch is straightforward yet high quality with luminous hands and time indicators and Hardlex crystal for durability. The watch is water resistant up to 300 feet. This watch is reliable, accurate and a handsome everyday timepiece that is perfect for a man who loves simplicity and classic design. 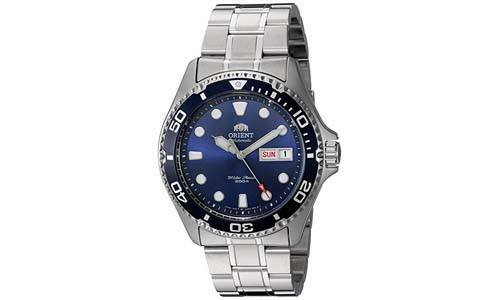 This Seiko automatic analog watch features a unidirectional bezel with a stainless steel case, black dial and luminous hands, time indicators, and day/date display. The watch is made with high quality Hardlex crystal for durability. This lovely watch is water resistant up to 300 feet. 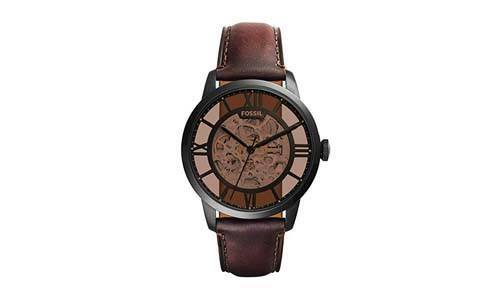 This a classy timepiece that’s suitable for everyone and everyday wear. Things to Consider when Purchasing an Automatic Watch As many wristwatch collectors know, it is important to take your time and truly consider what you desire in a watch as you’re shopping. There are numerous factors to take in account when shopping for a high quality, stylish, durable, and versatile automatic watch. Automatic wristwatches are a wonderful investment and choosing a watch that can hold up to everyday use is of utmost important. The watch should feature a strong, durable crystal like Hardlex. The wrist strap, whether made of nylon, rubber, stainless steel, or leather should be of high quality and able to be clasped and unclasped many times with comfort and ease. You’ll want to find a watch that is strong and durable without sacrificing the style and design. The style of a wristwatch is truly an important aspect to consider as some watches are only suitable for certain events and situations. Ask yourself what situations you will want to wear this watch for and make sure that the watch’s style is appropriate for the event. Will you be wearing it only in a casual setting? Semi formal? Formal? Some watches are effortlessly versatile and can be worn confidently in any setting. Watches have an incredible range of prices from $5 to $5 million. Consider what an acceptable price range for you is and then search for a watch that meets as many of your criteria as possible in that price range. Many automatic watches in the $100-$500 range can be used in a variety of settings, offer a wide range of style choices, and are durable and long-lasting. Finding that perfect timepiece for your wrist is a wonderful experience and you’ll be thrilled to find a watch that you delight in wearing everyday. There are many factors to consider when purchasing an automatic wristwatch and with this guide, you will be better prepared on your journey to choosing a high quality, durable, and versatile watch.